Okay, I must start my review by revealing something that seems to shock absolutely everyone I tell: prior to this viewing, I had never seen The Wizard of Oz before. Clips of infamous scenes? Of course. Various sequences when someone I was with flipped it on TV, or when I entered a friends house and it was being enjoyed by the family? Absolutely. Technically speaking, I probably have seen a majority of the film before in brief portions over the years, but I have never sat down and actually screened the classic from beginning to end. Thirty years old and no Oz as a child? If I did watch it back then, I don't recall the experience. I had my handful of VHS tapes I would play practically on repeat, but this was not one of them. I actually found it quite amusing when I went to see the 2013 Sam Raimi film Oz the Great and Powerful and it occurred to me how odd it was that this was my first journey to the Land of Oz. It would be like going to see The Phantom Menace during its opening weekend and it being your first ever voyage into a galaxy far, far away. 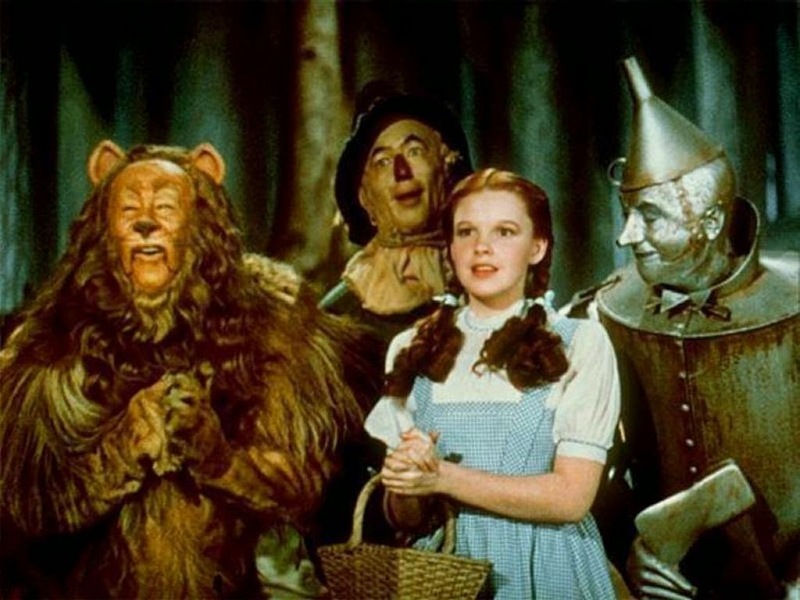 One thing I was told whenever I discussed the oddity of my never seeing The Wizard of Oz before was that because I was now a grown man, I would probably not enjoy the film as much because the nostalgic warmth wouldn't be attached. When you cherish something as a child, it is more likely to attach itself to your cinematic soul regardless of age because it represents something more than just it being a good film. You recall the excitement of childhood, the happiness of sitting down with your family and viewing it as a tradition, the joy of a room full of people you love all feeling like they are in the exact perfect place doing the exact perfect thing. Therefore, despite this being a highly regarded and important classic, I had lower expectations because of my situation. 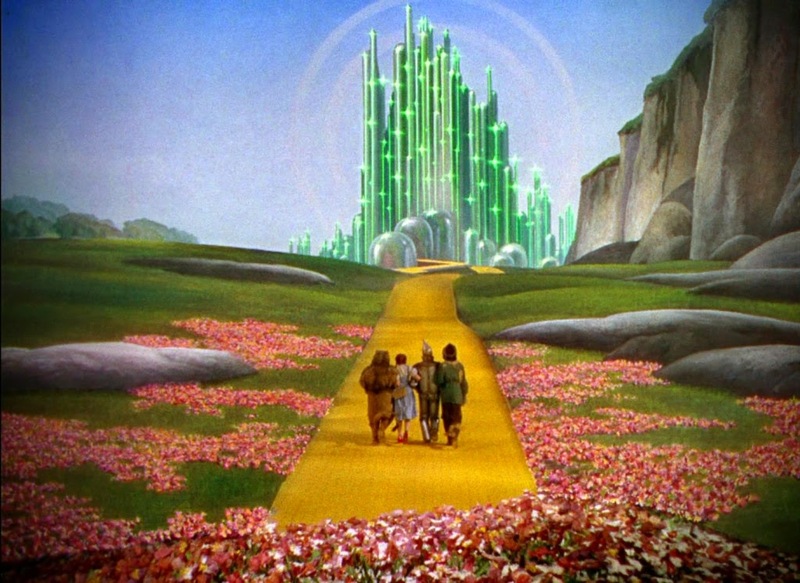 The Wizard of Oz proved to be a total delight, a film I loved instantly despite the lack of growing up with it. Perhaps it is because I was enjoying it with my daughter, as if I was starting the cycle over again by introducing the work to a seven year old as well as myself. Perhaps I envisioned the years to come when we could watch it over and over again together, the beginning of a new tradition, the joy of that perfect place and that perfect thing not just in this moment, but in future moments yet to be realized. Imaginative characters, the warmth of great storytelling and shockingly striking visuals for a film released in the late 1930's, this really is the treasure that it is advertised to be. It's pretty remarkable to see a film like this and remind yourself that it came long before computers were used to help craft moments of fantasy, that this was simply the work of the human mind and the ingenuity it is capable of. Same time next year, Oz? I'll be there. I love starting new traditions. 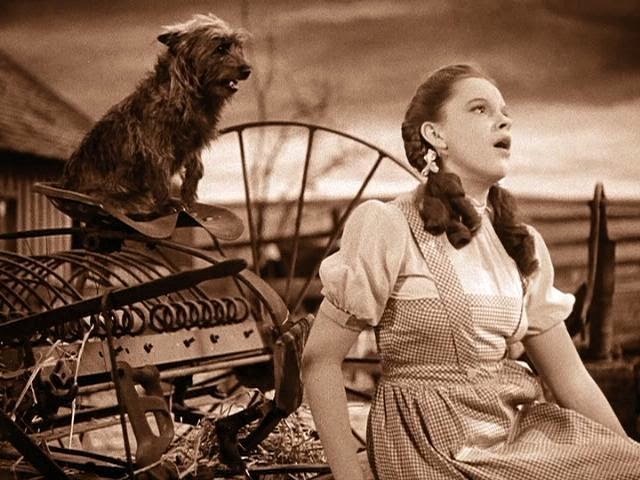 The Wizard Of Oz is a great place to start! Without a doubt Sheryl, thanks for checking out my review and leaving the comment. Appreciate it!